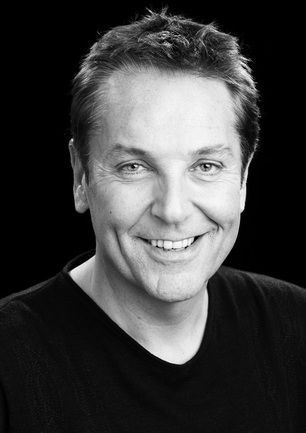 Returning by popular demand Brian Conley makes a welcome return to the Cliffs Pavilion and will lead the cast of this year’s swashbuckling pantomime Robinson Crusoe & the Caribbean Pirates. Following last year’s spectacular pantomime Cinderella Brian will drop anchor in Southend once again and star in the title role of Robinson Crusoe, bringing with him the laugh-out-loud comedy that Southend audiences couldn’t get enough of last Christmas. In a career spanning three decades Brian has appeared in award-winning West End musicals and television sitcoms, presented his own chat shows, recorded three albums and completed numerous sell-out tours of the UK, the most recent of which came to Southend earlier this year. On stage he has starred as Edna Turnblad in the hit West End musical Hairspray both in London and on tour, and has completed a nationwide tour of Brother Love, celebrating the music of Neil Diamond, directed and choreographed by Craig Revel Horwood. Brian also starred in the nationwide tour of Oliver! playing Fagin, starred in Jolson, Me and My Girl and played the title role in the UK tour of Barnum, which played to sell-out houses in 2014. The ship-shape show will once again be produced by Qdos Entertainment, the biggest pantomime producer in the world, who have staged pantos at the Cliffs Pavilion for the last 21 years. The action packed family show will feature fabulous scenery, outrageous costumes and stunning special effects, plus a few surprises to shiver the timbers of the audiences. On a swashbuckling adventure full of buried treasure, dangerous buccaneers, a mighty sea monster and a journey across the ocean will our hero Robinson win the girl and find riches beyond his wildest dreams? With nearly 60,000 tickets sold for last year’s Cinderella, audiences should splice the main brace, weigh anchor and set sail for the box office today to find out!